Shopping is almost a part time sport in Texas. So with much anticipation of its opening in fall 2015, the five-star River Oaks District will be a shopping and dining destination like none other. With world- class brands and iconic storefronts, including Hermes, Dior, Chopard, Dolce and Gabbana, Van Cleef & Arpel, Cartier, Patek Philippe, Stella McCartney, Davidoff, Tom Ford and more, so what’s not to love? 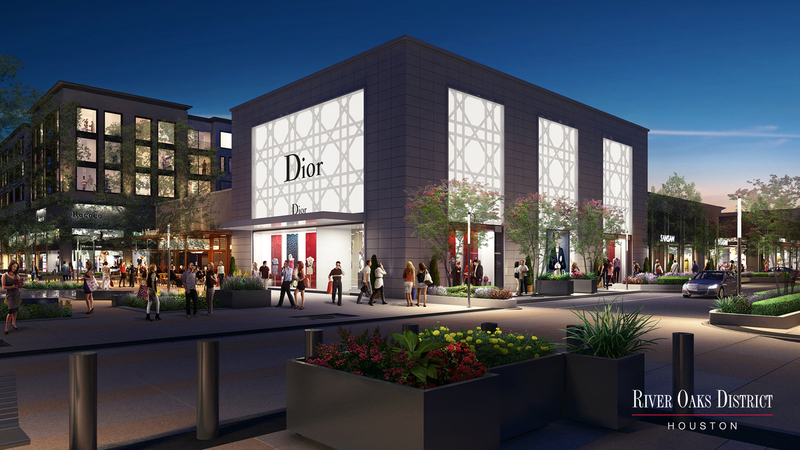 In fact, the "ROD" will be a walkable, upscale, sophisticated, open air complex, much like our chic haunt Rodeo Drive. This once again proves that Texas has some of the finest cities and best shopping in the world. But, you knew that already.